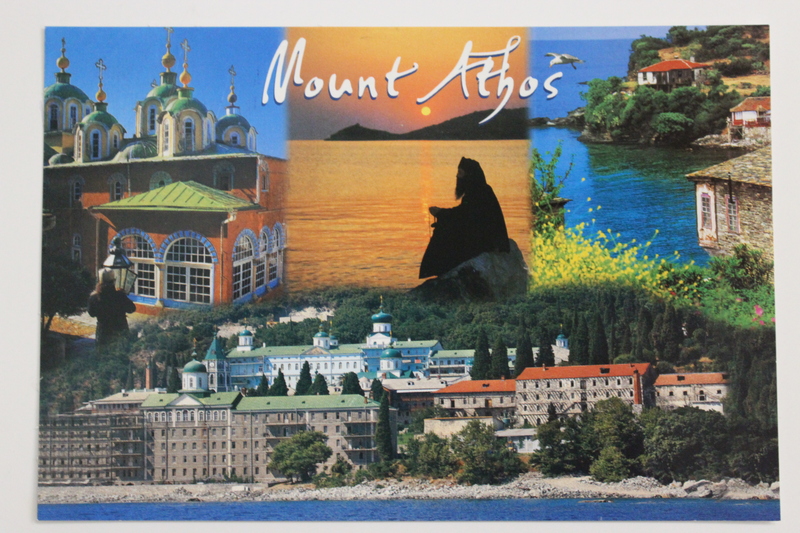 I have always been fascinated by Mount Athos. The only way I can see this place as a woman is from a cruise boat. 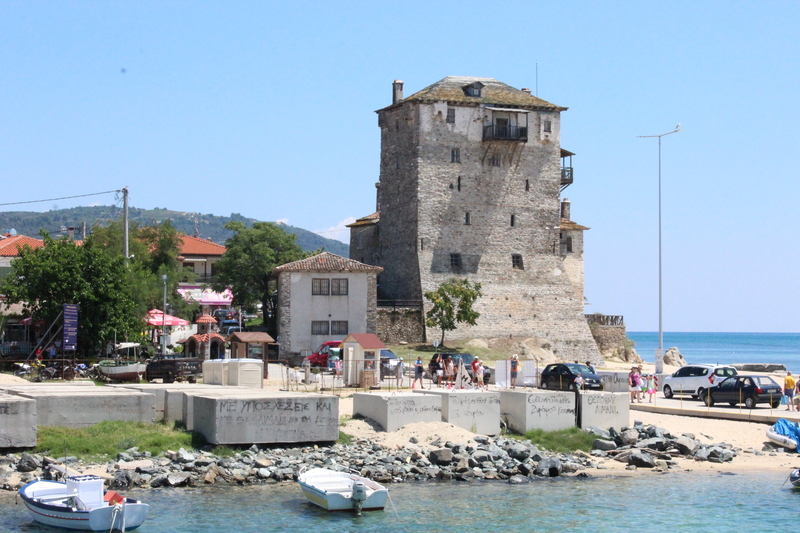 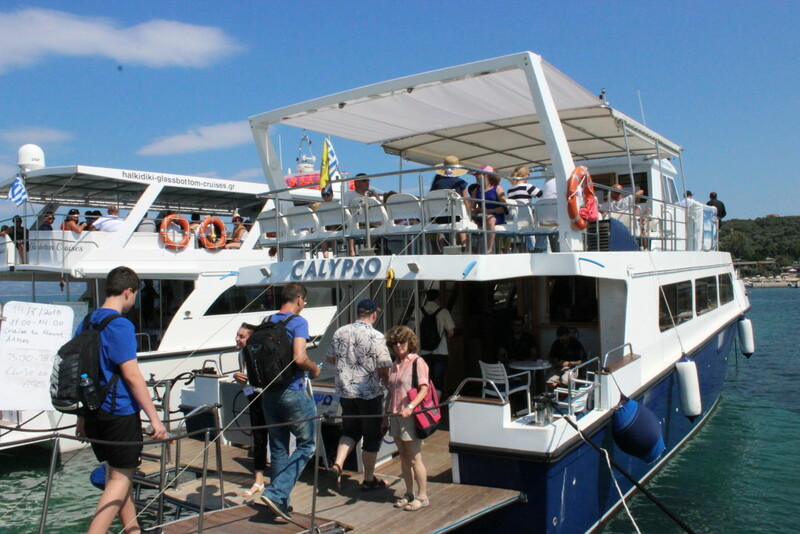 Our boat cruise started in a small port of Ouranoupoli (a two-hour drive from Thessaloniki). 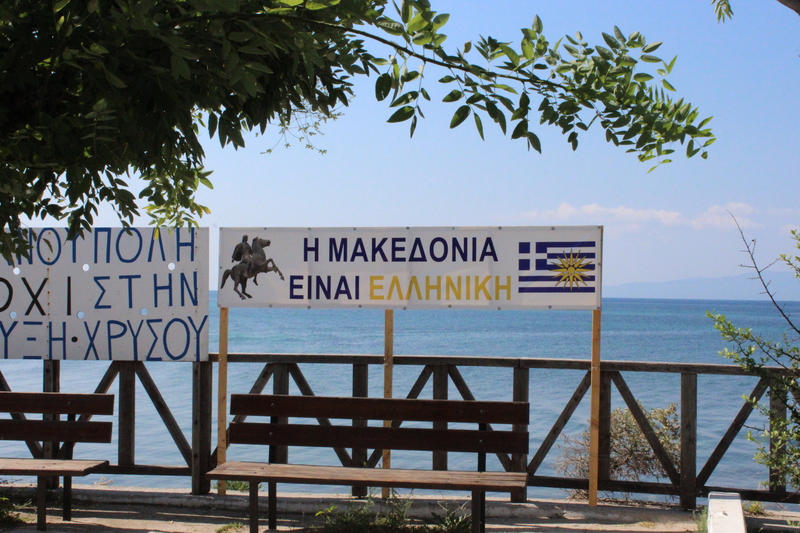 Another sign promoting Macedonia as part of Greece. The statue of Alexander the Great is supporting the claim that he was Macedonian and Greek at the same time. 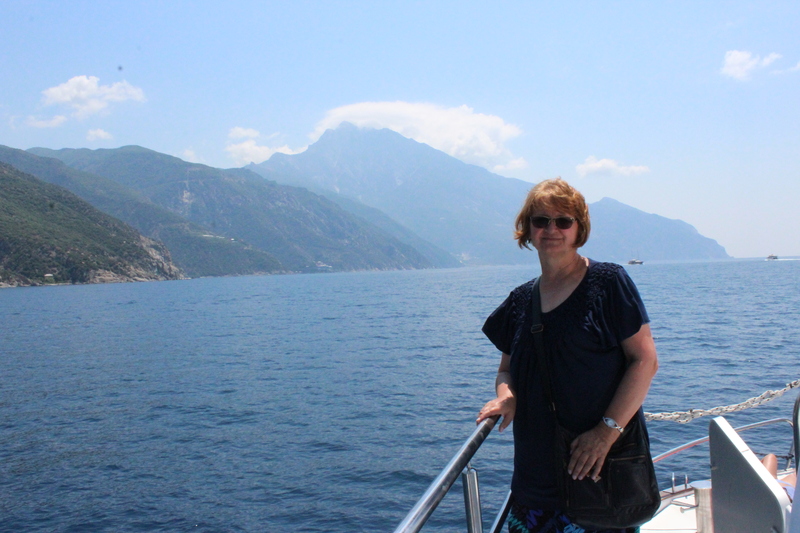 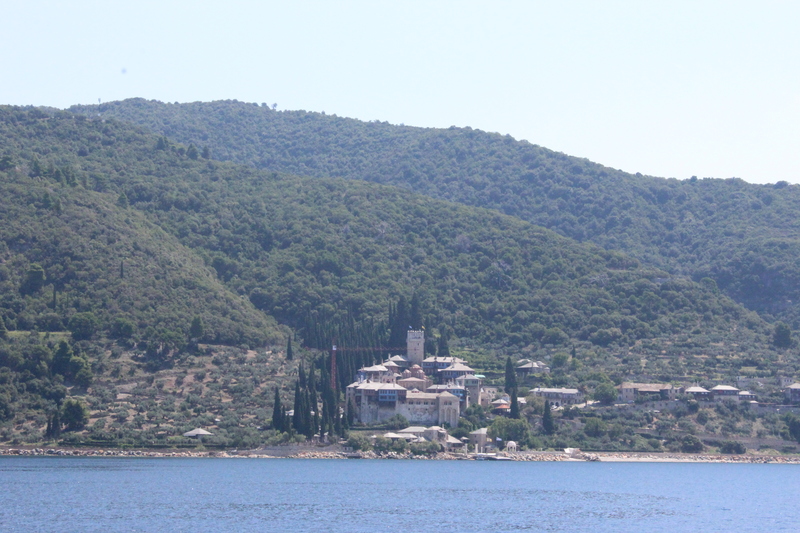 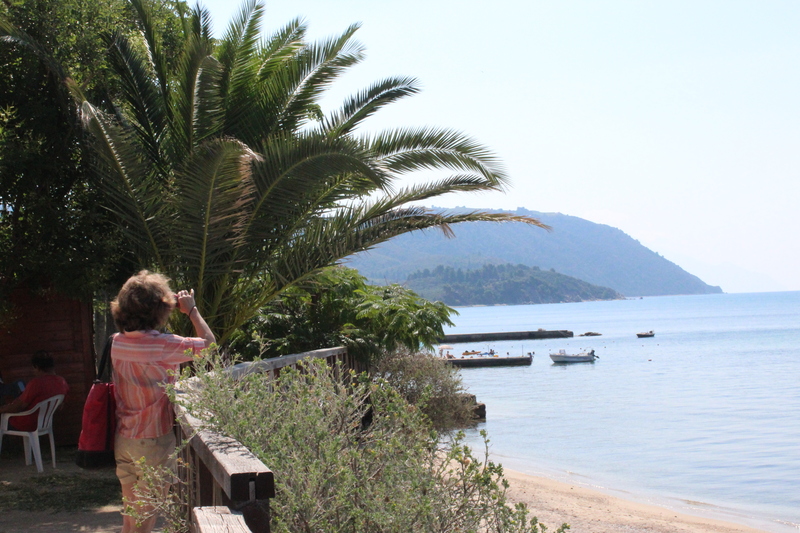 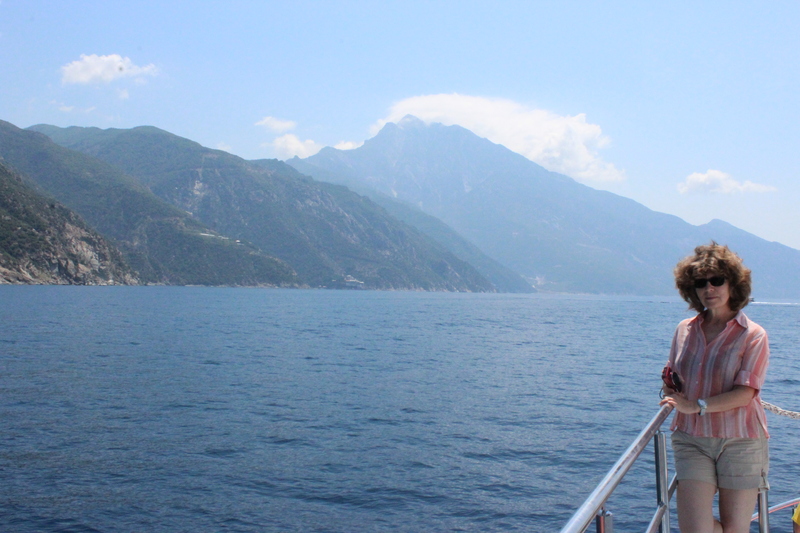 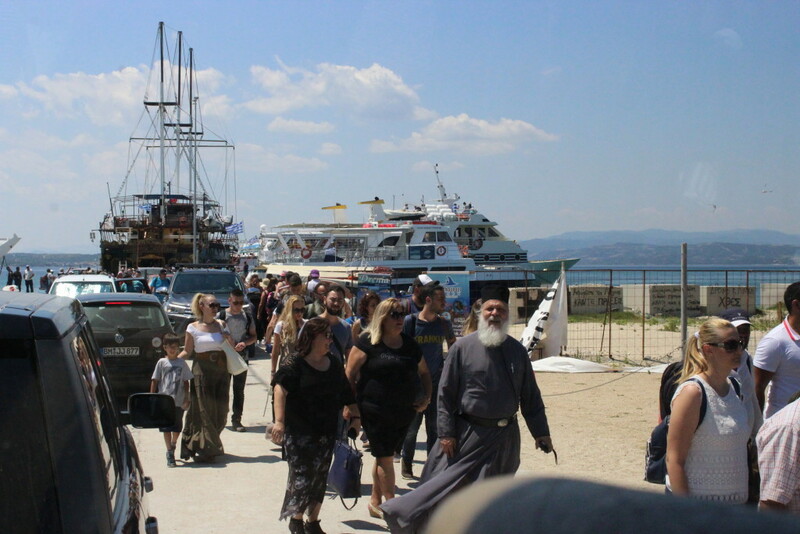 The boat trip lasts for three hours and it allows both men and women to peek at Athos’ spectacular monasteries. 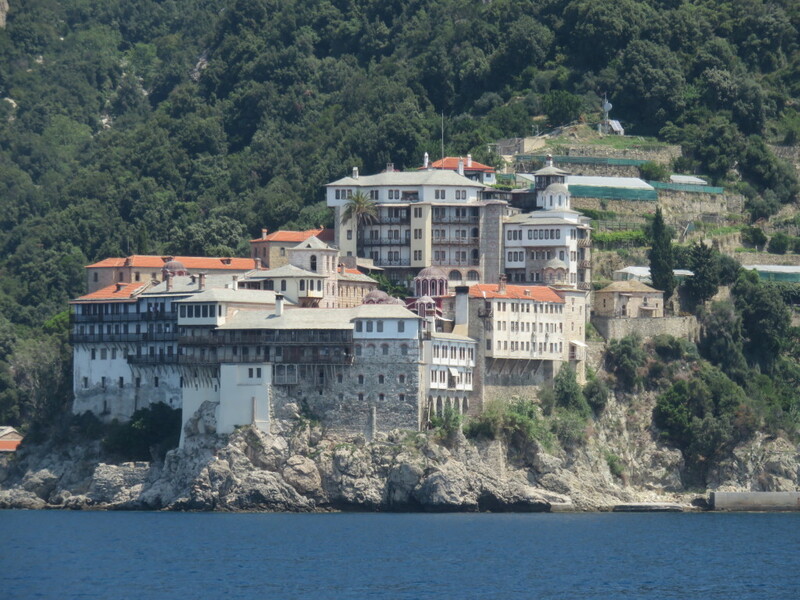 An enormous World Heritage site, 56 km long and 8 km wide, Mt Athos is formally Greek, though ecclesiastically it is under the Orthodox Patriarchate of Constantinople (Istanbul). Athos has 20 working monasteries with 1472 monks. 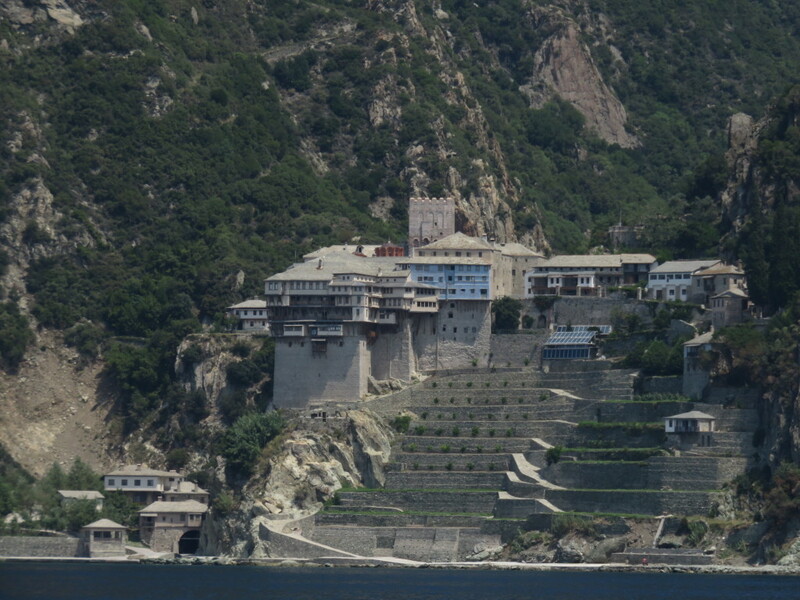 Some of the monks are Russian or Bulgarian but most of them are Greek. 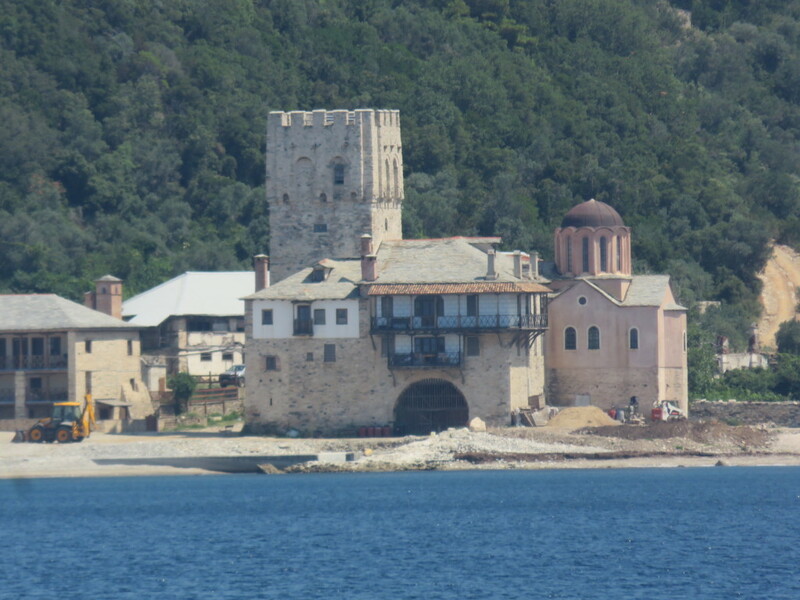 According to tradition, the Athos peninsula was visited and blessed by the Virgin Mary. 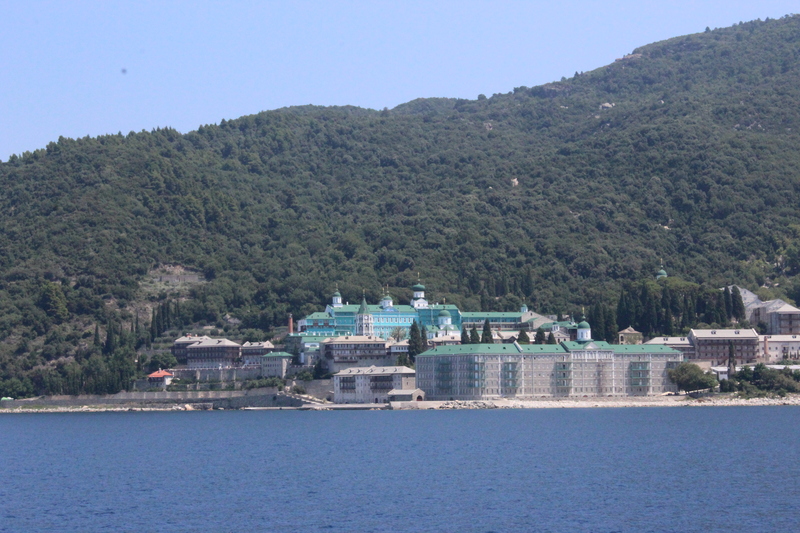 This explains why this place is called “The Garden of the Virgin Mary”. 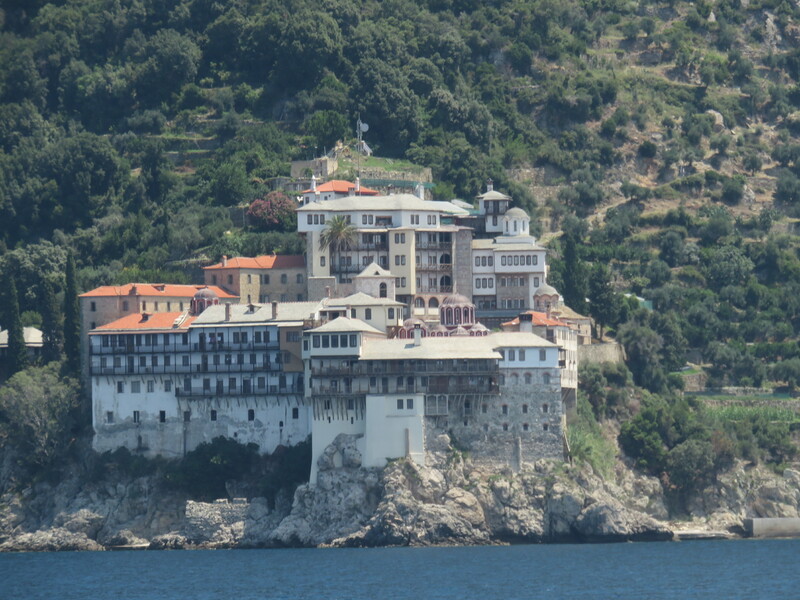 Since the 10th century, Mt Athos has existed as an Orthodox monastic autonomy with the capital of Karies. The imposing monastery of Agios Panteleimonas is very distinctive with its green onion domes and blue walls. 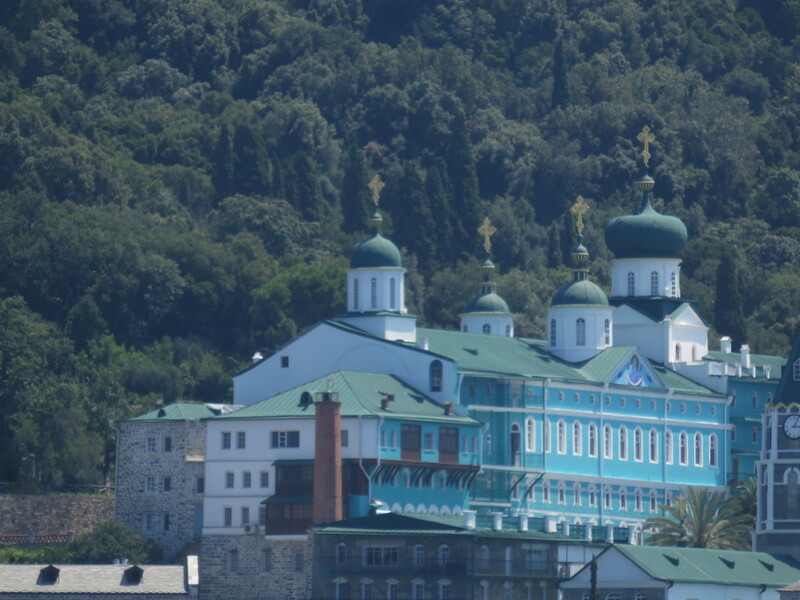 It was founded by Russian monks in the 11th century. 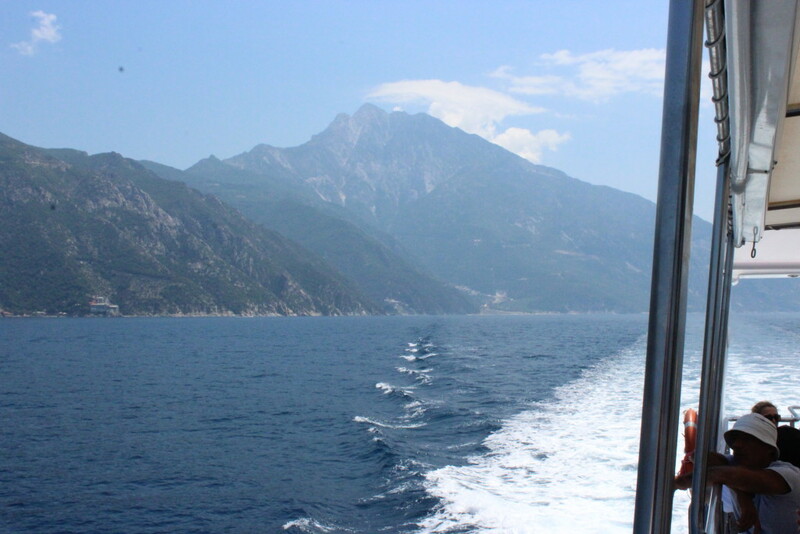 Mt Athos, 2,033m, culminates the peninsula at its southern tip. 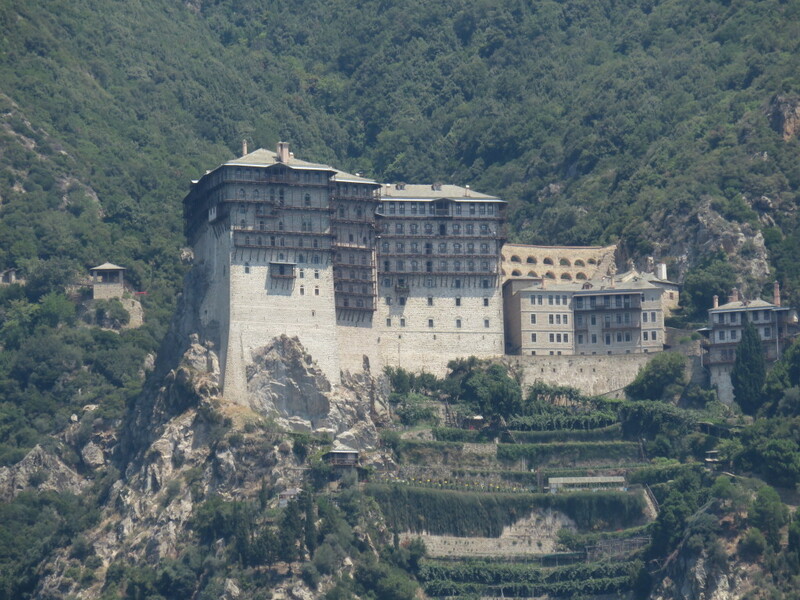 Wow the monasteries are breathtaking!